For an ongrade concrete sub floor under laminate floor, is foam or felt/fiber underlayment better? On grade concrete is tricky. The proper thing to do is to test what the concrete is emitting for moisture vapors. 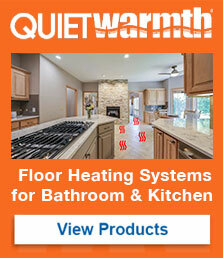 Find the suitable floor underlayment that will perform to those emissions. Foam underlayment is made from resin/petroleum based products which will block moisture inherently. Fiber/Felt Underlayment is made from recycled materials and will help the concrete breathe those vapors instead of just blocking them helping to inhibit mold and mildew situations. It manages moisture and will not allow moisture to pool under the blocker like foam. Pull back a welcome mat once on the stoop, moisture is there as the mat was blocking the emissions and allowing them to accumulate into water.